Paris Museum Pass: everything you should know before buying it! If you want to discover more museums and cute cafes in Paris that are off the beaten path, check out our Paris Museums Guide! Paris is known for its numerous spectacular art museums, ranging from the middle ages all the way through the 20th century. Whether you’re visiting Paris for a day, few days or weeks, this guide to the Paris Museum Pass will help you decide if its worth it for your trip or not, as most museums in Paris are not free. Read on for all the practical bits to the Paris Museum Pass! Have you already considered which museums to visit on your trip to Paris based on your artistic interests, or thought about how to navigate the Musée du Louvre? Consider some of INSIDR’s favorites and top Louvre Museum tips. There are a number of locations online, within the city center or in the CDG and Orly airports where you can buy this useful pass. Below we have listed all the most convenient locations. Orly airport tourism information centers. To start using your Paris Museum Pass, write your name and the date of your first usage of the pass on the actual pass. Be sure not to put the purchase date of the pass instead! Once you are ready to use the pass, the Paris Museum Pass is valid on all days the museums included are open. For a list of the museums included, click here. Some of the museums included in the pass are listed here with their average prices. Do note that the Eiffel Tower is not included in this pass, a common mistake made by travelers. If you’re buying a pass for children 18 years old or younger, be sure to carry their Passport with you as it is required to show identification. However, if you’re from the EU, children under the age of 26 are free for most museums. Some museums have special openings and times to take into consideration. The Louvre Museum is free every year on Bastille Day (July 14th) and is open every week until 9:45pm on Wednesday and Friday evenings. 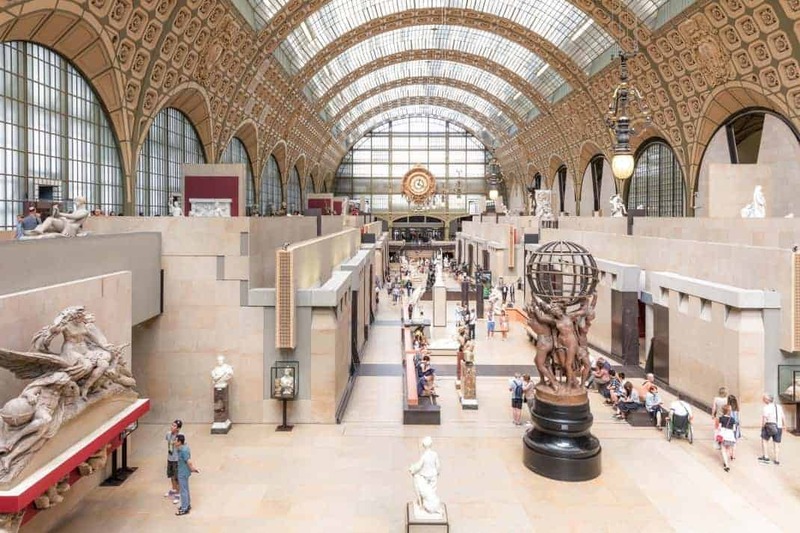 Orsay is open on Thursdays late until 9pm. Lastly, every first Sunday of the month, all national French museums are FREE! The Paris Museum Pass is attractively priced and useful for many tourists who want to experience a lot of art on their Parisian adventure. Although the pass is reasonably priced considering the amount of museums it covers, plan your itinerary closely to ensure that it ends up being a bargain and not an extra expense.